What Is a Doctor Called Who Studies the Brain? A neurologist studies the nervous system, which is composed of the brain, the spinal cord and the peripheral nervous system. This includes any part of the body, such as the eyes, ears and skin, that receive information through the senses. Neurologists study brain functions and treat disorders such as stroke, migraines, brain infection, epilepsy and speech and language difficulties. These doctors do not perform surgery. A neurosurgeon operates on the brain and other parts of the nervous system. Some neurologists choose to specialize in areas like sleep disorders, pain management or neuromuscular conditions. 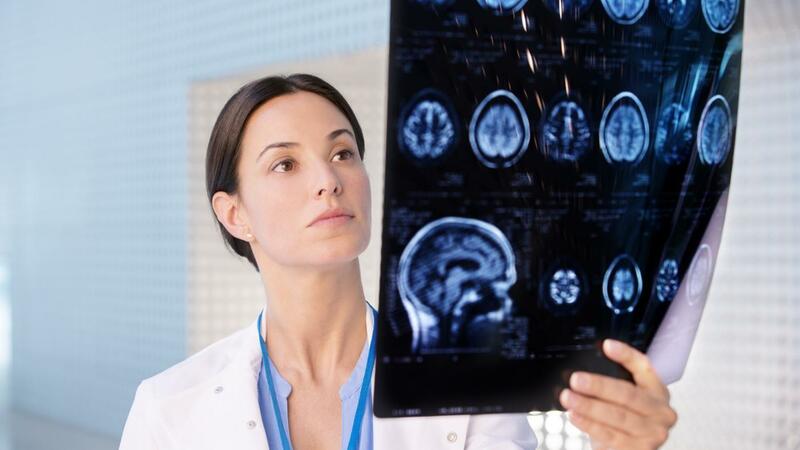 In addition to traditional medical school, internship and residency, these neurologists often obtain additional training in their field of interest. What Causes the Back Legs of Dogs to Be Weak?